A Malaysian Airlines flight from Kuala Lumpur to Beijing has lost radar contact with air traffic control and is reported “missing”. 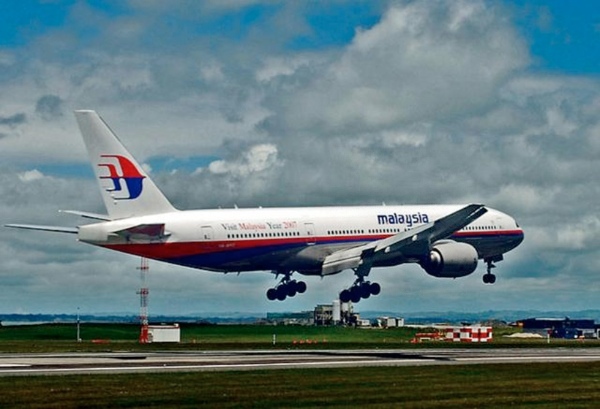 A statement from Malaysian Airlines said 153 passengers on board the flight are Chinese. 38 Malaysians, 12 Indonesians, 7 Australians, 4 Americans, 1 Russian are also among the 227 passengers on the flight. The Boeing B777-200 aircraft departed Kuala Lumpur at 00:41 a.m. Saturday, and was expected to land in Beijing at 6:30 a.m. the same day. “The news is very disturbing. We hope everyone on the plane is safe,” said Chinese Foreign Minister Wang Yi. Earlier local media reports about the missing Malaysian plane’s signal detected some 120 nautical miles southwest of Vietnam’s southernmost Ca Mau province are false, said officials in Vietnam.